The power of Love helps us through these challenging times. It can come from unexpected sources when we are open to it. I am currently seeing it demonstrated in the community of Paradise, which has been ravished by the recent tragic fires. Many lives have been lost and tragically altered. The BBS Radio Network, which I have been fortunate to be part of these last three years, is located up there. The holidays are upon us and we give thanks for our blessings. This doesn't mean that we don't have our share of potholes along the way, but we learn not to focus on them. Some are small and some not so small, and some catastrophic. Those potholes are there to remind us of what is really important. On Thanksgiving, like many families, we have a ritual of expressing what we are grateful for, rather than being obsessed with what we don't have or what went wrong. Yes, their still is struggle, which is part of the game; how we navigate this struggle determines our ability to flow with what is. Sometimes it isn't pretty. The power of Love helps us through these challenging times. It can come from unexpected sources when we are open to it. I am currently seeing it demonstrated in the community of Paradise, which has been ravished by the recent tragic fires. Many lives have been lost and tragically altered. The BBS Radio Network, which I have been fortunate to be part of these last three years, is located up there. It is operated by Doug and Don Newsom, twin brothers who live there with their family. With hearts of gold they have helped get the Inspire Possibility Show and other similar shows heard on most major podcasts. I feel privileged to know them and to be able to guide them in any way I can through this challenging process of recovery. The raging fire didn't give them time to think about much except grabbing everyone in the family and trying to make it to safety, which they did. In shock, devastated and confused they caught their breath. All of their possessions, including family memories passed on to them by prior generations were lost. They had no place to live and their successful network of transformative radio hosts would be on hold until they got on their feet again. Doug and Don and family, even with all of the uncertainty in their lives, were some of the lucky ones. They were alive. Over 88 people have lost their lives and many others are unaccounted for. Many are homeless. FEMA and the insurance companies are doing their best to come up with temporary solutions but they are overwhelmed by the extent of the loss. In the midst of loss and devastation, it is the power of love that gives people hope and comfort and the will to move forward. I have always believed that in a time of crisis, there are angels in our midst. Sam Hasson, of LA Talk radio, in some ways a competitor, began a GoFundMe campaign on their behalf. They are close to reaching their goal of $25000. If you would like to contribute to this campaign, click here. Over 250 people have reached out to them. Their situation has given me perspective. When I think about what upsets or disappoints me, I temper it with what's going on up there in Paradise and am grateful to help in anyway I can. Being generous of spirit goes a long way. Yesterday, Doug and Don shared with me that Don's daughter Kayleigh, who is a student at the local high school in Paradise, was interviewed by the local paper. The interview was reprinted by a San Diego paper. As it turns out, Bob Wilson, a philanthropist in San Diego read the article and donated $1000 to all 980 high school students and to each staff and faculty member, including bus drivers and janitors. In all his donations were over a million dollars. I know that the Newsom family will rise from the ashes and soon be on their feet again, reaching millions on their network with inspiring messages of love and hope. Each of us, with our unique gifts and talents, make a difference in peoples lives even if we don't know it. Reach out and share your love with others. You'll be amazed at how you make a difference in their lives. Embrace this great mystery, this great adventure called, "Life." Thank you for being part of the Inspire Possibility Community during these past years, and I hope you will encourage those in your circle to also become part of the Community. If you haven't done so already, become a fan of Inspire Possibility on Facebook. 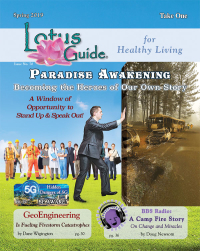 You can also tune into the Inspire Possibility radio show on the BBS Network. The show is syndicated on most major podcasts. Take a Listen. There are over 100 conversations with some amazing people. During this last month there were some amazing interviews. Be sure to listen to the conversation with Herb Freed. You can subscribe to the show on ITunes or just go to the podcast app on your smart phone and search for the Inspire Possibility Show. Or even easier just google me and it will come up. Get to know Mark as he discusses one of our greatest personal challenges. Click here. If you are curious to find out how Mark can make a difference in your life both personally and professionally, you are invited to contact him. 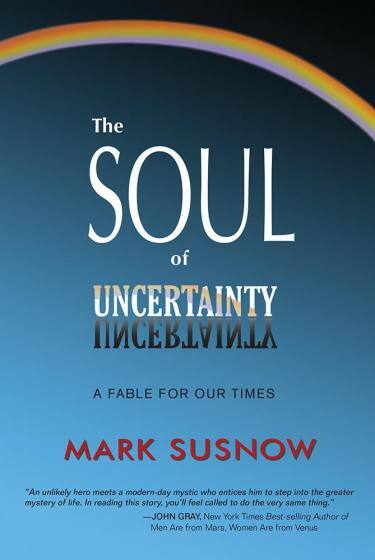 You can order your copy of Mark's new book, The Soul of Uncertainty, a Fable for our Times, by purchasing it through Amazon. and thought-leader inspiring others to believe in themselves. He is passionate about life being an exciting journey of discovery. He integrates what it takes to be successful in the world with the inner wisdom unfolded to him through years of yoga and meditation and playing music. © Copyright 2005 Mark Susnow. All Rights Reserved.